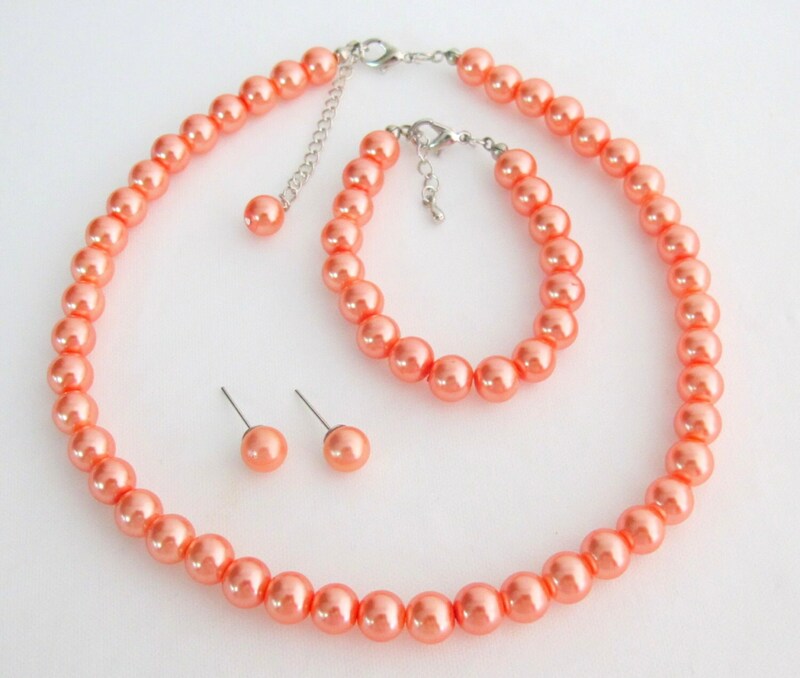 Fabulous Girls Jewelry Soft Tender Inexpensive Flower Girl Baptism Jewelry gift Beautiful Necklace Stud Earrings & bracelet with Orange Pearls soft tender pearls 8mm round the neck accented in beautiful Necklace Earrings & clasp bracelet comfortable to wear... soft stuff... This wonderfully whimsical Necklace Earrings & Bracelet with good & high quality at very affordable price. Very pretty! Not quite as orange as I expected, but it will work.